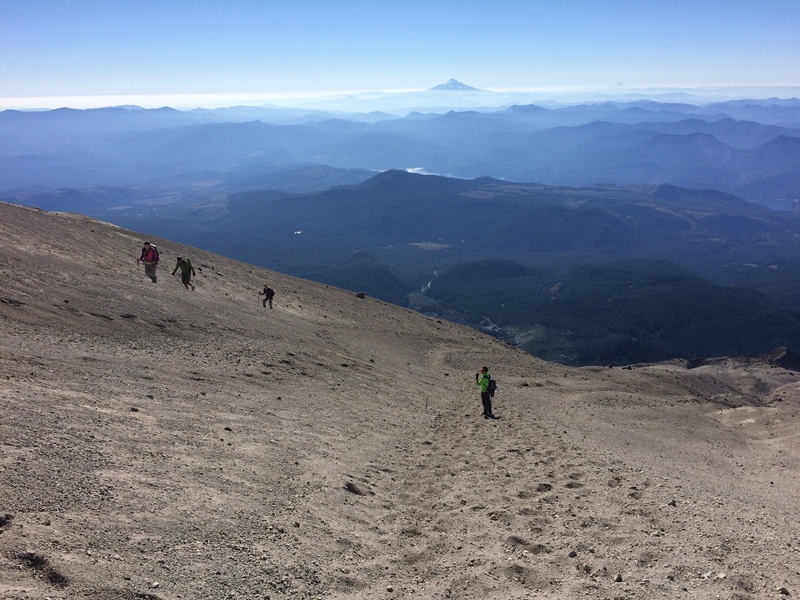 Conditions were crap for Mount Hood, but conditions were perfect for summiting Mt. St. Helens. 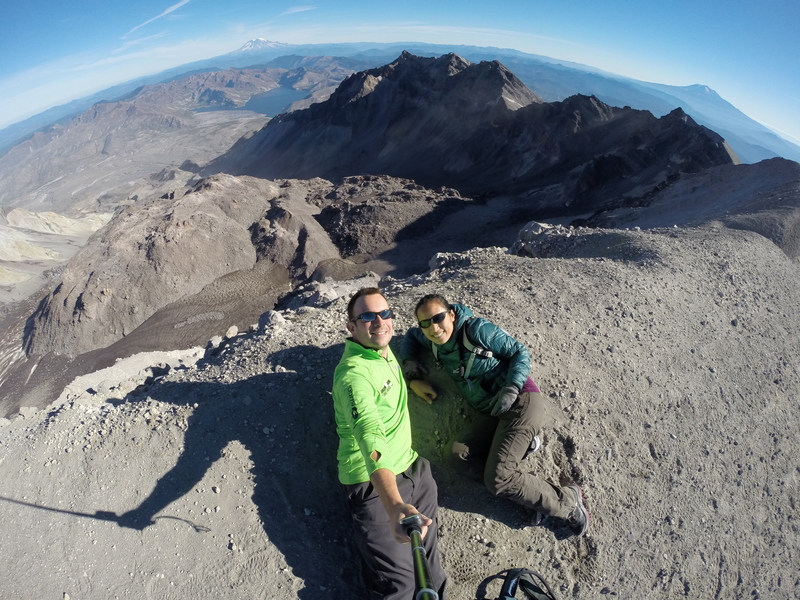 While we sat in the parking lot of Timberline Lodge at Mount Hood figuring out our next excursion, we quickly discovered that summiting Mt. 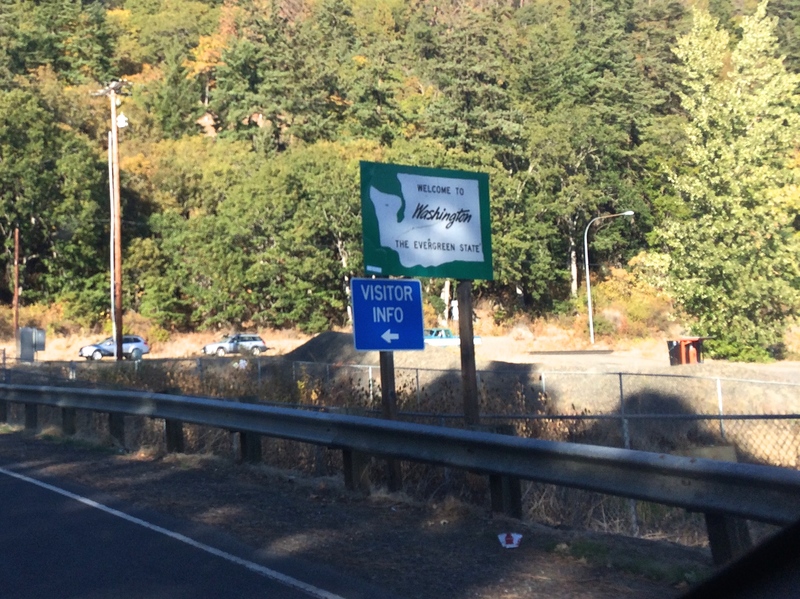 St. Helens required purchasing a permit in advance. Luckily the following day was Monday, and while weekend permits were sold out for the year, there were plenty of permits remaining for the weekdays. We purchased and printed the permits there at Timberline Lodge, spent the rest of the afternoon at Lost Lake, and then made our way over to the Mt. St. Helens trailhead where we would spend the night. 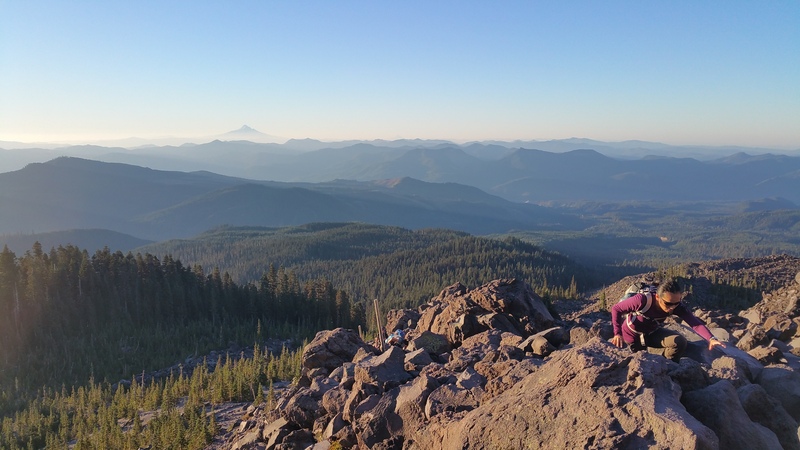 Shortly before the sun climbed over the Gifford Pinchot National Forest the next morning, we set out for our hike. 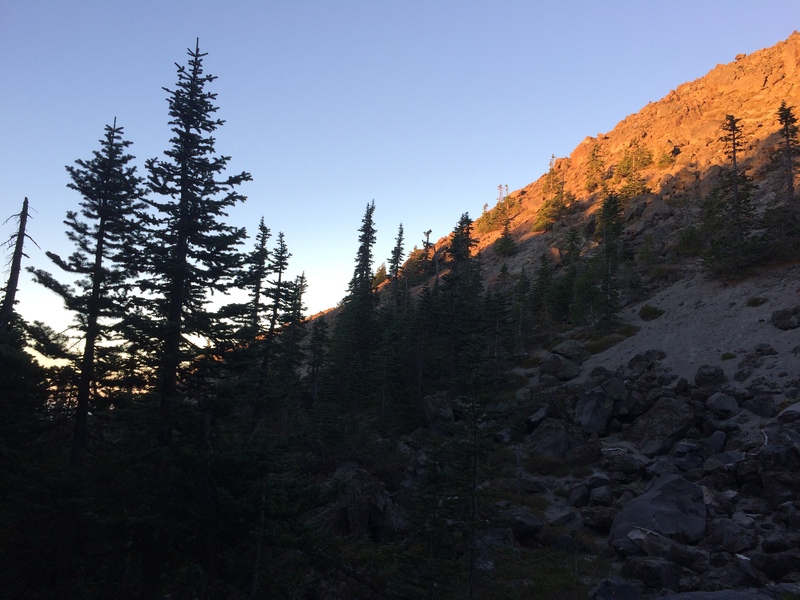 The first couple miles were a gentle stroll through the woods, but once we finally began our summit at the mountain base the trail became a scramble up boulders and rocks. Chris couldn’t wait for the spectacular view of the crater at the summit, but I simply had no idea what awaited us. 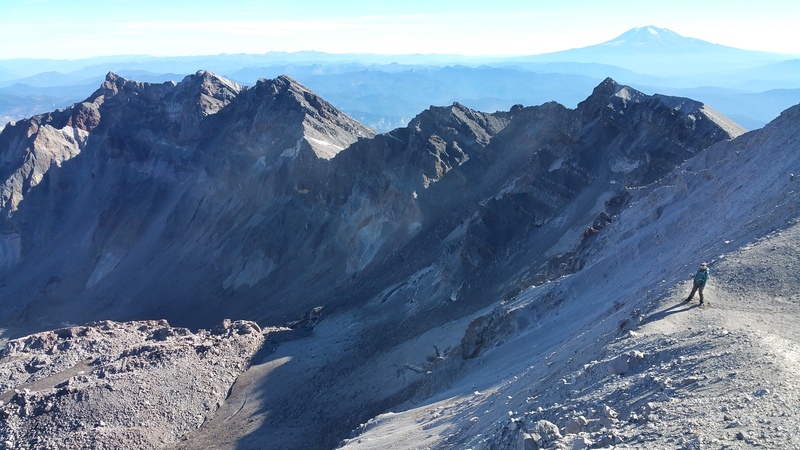 Behold–the recent crater blast from only 35 years ago! Here on this beautiful day I stood along the crater rim looking down into the active fumeroles. Mount Adams rose proudly in the distance. Descending always takes longer than I expect. 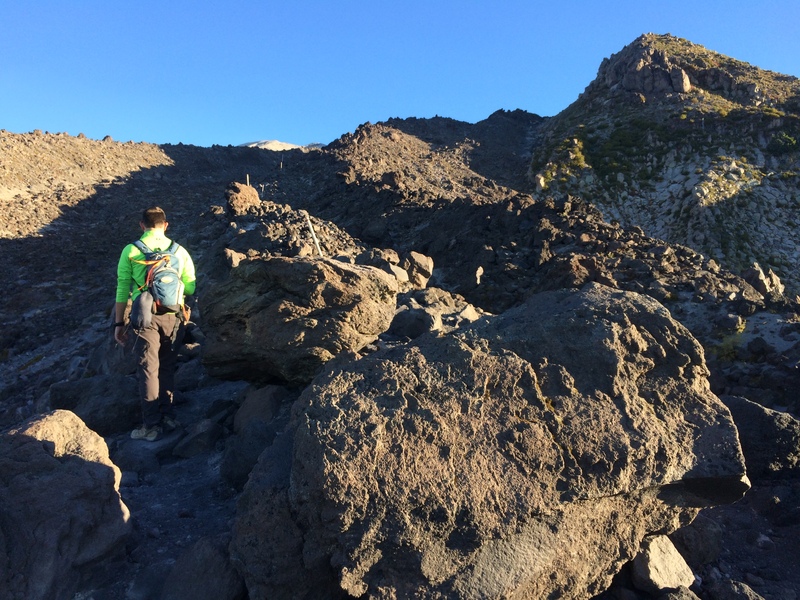 With its steep, crumbling slopes and piles of rocks, we were forced to nimbly make our way down. Because we began our hike so early in the morning, we were actually the 4th group to summit. There were plenty of more groups on their way up as we worked our way down. The incredibly rewarding hike took us just about 6 hours roundtrip. 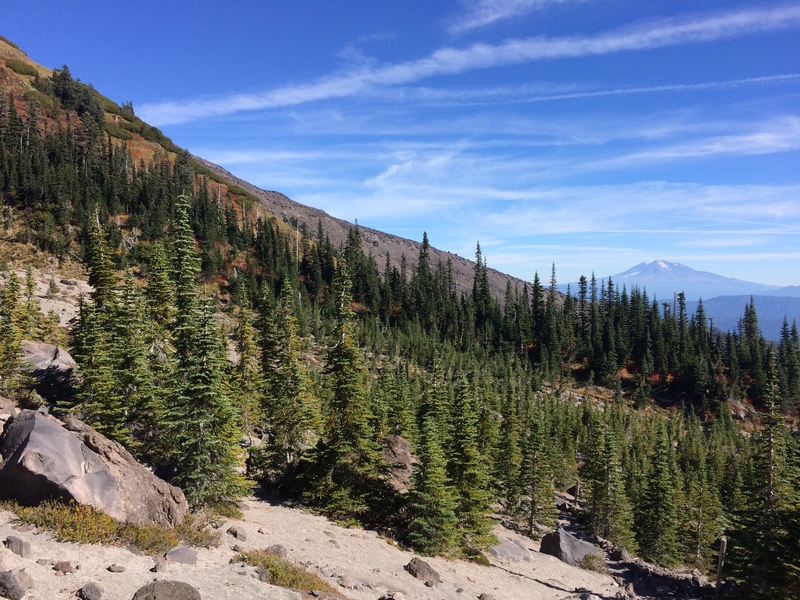 Add an epic view of a crater with surrounding mountains at the top to a perfectly clear, sunny day and you’ve got yourself quite the memorable hike. Mt. 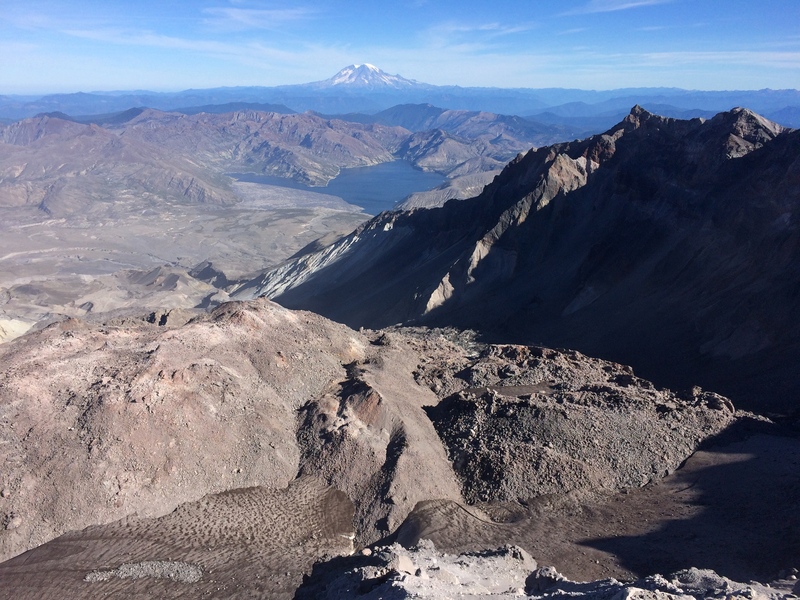 St. Helens is a very active volcano indeed. It might be worth summiting before it blasts Washington again!